On the 4th of October, 1943, four young Australian soldiers crossed the Italian border at the Monte Moro Pass and into Switzerland, ending a three week odyssey that had started in a Fascist prison camp on the Po Plain near Biella in Piedmont (north of Turin). It had taken the soldiers across the Italian Alps, walking nearly one hundred kilometres of trails, crossing five mountains passes, climbing over five thousand metres and skirting around Mt Rosa (the second highest mountain in the Alps). The route they took followed a network of medieval paths that had been re-opened by partisans, which the locals called the ‘sentieri della liberta’ or the trails to freedom. Based on several years’ research, this magnificent hike follows the same route, starting in Biella and finishing on Mt Moro. It passes through some of the most spectacular scenery in the European Alps, staying in a mixture of hotels (at the beginning and end); pilgrim monasteries and mountain huts along the way (see below for details). It will also includes two side trips, via cable car, up to the mountain peaks (including to the base of Mt Rosa at 3600 mts) to enjoy the breathtaking views and hearty mountain lunches before returning to the valleys. Although we will walk through uncontaminated mountain landscapes, this is an ancient land: traders, pilgrims and graziers have been passing through here for millennia, in fact since before the Bronze Age. While the trails are well-marked and no technical skills are required, this is a challenging hike (definitely not a 'walk') which requires very a good level of health and fitness (medical certification will be required before joining the tour). The group will be a maximum of 12 guests and will be lead by Simon Tancred and Marco N, a certified local alpine guide with a passion for conservation and a Phd in alpine biodiversity. The trails are well-marked, starting with a pilgrim route that takes us up into the hills above Biella in northern Piedmont before picking up sections of two long distance trails: the Grande Traversata degli Alpi (GTA) and the final section of the Tour de Mt Rosa (TMR) which will take us to the Swiss border. A large part of the route follows ancient pack routes, variously narrow, wide, cobbled and paved. You will cross some long stretches of skree and boulders, so you’ll need to be sure-footed and fit. Technically the route is simple, however, you will be required to climb more than a thousand metres on several days and you will be crossing high altitude country where weather conditions can change dramatically so you will require a high level of fitness. You must also be prepared to walk in all conditions rain, hale or shine! This is a Grade 5 walk (click here for details). The accommodation is one of the highlights of the tour. We will start with the first night in a 4-star hotel in Biella in Piedmont. The next night we will stay in a very comfortable pilgrim accommodation in a magnificent monastery that dates from the Middle Ages; three nights are in ‘rifugi’ or mountain huts, where we will sleep overnight in shared accommodation (including shared bathrooms) either in 4 to 6 person rooms or larger dormitories (depending on availability); a night in a ‘casa alpina’, an historic alpine hotel which once hosted the Queen of Italy; while the last two nights we spend in a lovely, family-run 3-star hotel in a village below the Mt Moro Pass. The walk passes through the region of Piemonte (Piedmont), home of the Slow Food movement and one of Italy’s premier food and wine regions, so, although sometimes simple, the food on the tour will always be local, hearty and delicious. Dinner each night will consist of three courses: a first course which may consist of risotto, ravioli or polenta; mains such as veal or rabbit stew; and a desserts such as bonet (a thick chocolate pudding) or a slice of excellent mature local cheese, chased down with coffee and/or a shot of grappa. Wine with the meals is included. Our accommodation will also prepare a cut lunch for us for the next day’s walk. Simon Tancred will lead the tour. 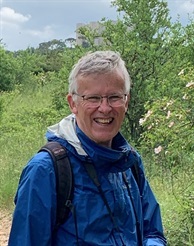 The founder and director of Hidden Italy walking tours, he has over 30 years’ experience hiking and walking in Italy, including 20 years leading groups for Hidden Italy. "Great Walks" magazine recently said I had the best job in the world.. there are other much more worthy jobs around but I am lucky my passion has become my profession - click here to read their interview. Simon will be supported by Matteo, a local Alpine guide certified by the region of Piedmont. Matteo is 33. He grew up in a village in the mountains north of Biella, is a passionate hiker and conservationist and graduated from university in Turin with a Phd in alpine biodiversity. He is a teacher and operates his company promoting hiking and appreciation of mountain culture and traditions to young people. As mentioned, the trail is well maintained, well-marked and there will be other people walking the route, however, the trail does pass through long stretches of uninhabited land at high altitude where the weather can change quickly so safety is a priority. The main safety requirements are a high level of fitness and common sense. We will be accompanied by a certified mountain guide and there is a very experienced mountain rescue service that can send in qualified mountaineers and helicopters, if needed. Interested in the 9 days hiking in the Italian Alps: Trails to Freedom Guided Tour? Find out a little more about the 9 days hiking in the Italian Alps: Trails to Freedom tour by reading some of our most frequently asked questions.